This series dissects the five main responsibilities of Christian parents and equips moms and dads to thrive in the role God called and created them to do. It’s easy to feel like we have so much to do, and, yes, our schedules are full. But there really are only five things God wants us doing in our parenting. 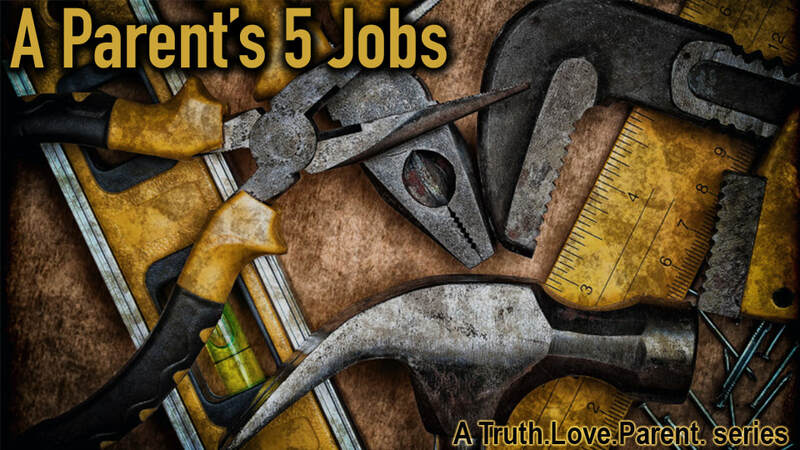 Today AMBrewster starts a series to introduce Christian parents to those five jobs and equip us to do them better. Oh, great! Now I have to be my kid’s teacher too! Christian parenting may seem difficult, but the reality is that our main responsibilities are quite simple. To be a Christ-honoring Parent, we need to stop trying to be original and be the “hinge” God created us to be. Join AMBrewster as he unwraps what it means to be your child’s Educator. What do you do when your kids disagree with you? What if they don’t believe the Bible? Join AMBrewster as he teaches Christian Parents how to be God’s Interpreter to their kids. Good parenting requires more than teaching; we must be ready to answer sin’s delusion. What do you do if your child doesn’t submit to God’s reality? What does God want you to do if your child does acknowledge their sin? Today AMBrewster talks to Christian parents about what it means to be a Counselor Parent. What does it mean to train our kids? What does it take to train our kids? Today AMBrewster embarks on one of his most enjoyable journeys — teaching Ambassador Parents how God wants them to train their kids. Parenting was never so exciting!